At Signature Living, we think it’s important that our staff have access to the very best training. That’s why in June we began working with local coffee roasters Adams and Russell to learn everything there is to know about making the perfect cup of coffee. Coffee is one of the most important things on earth to us and we know just how passionate our guests are about it, that’s why we’re on a mission to become coffee aficionados with our new advanced coffee training programme. In order to raise the standard and the passion for coffee within the Signature Living team, we will be following a detailed two-tier program alongside Adams and Russell’s head Baristas to ensure our staff have an expert knowledge of coffee making. We have already completed most of the Level 1 training with the expert team at the roasting plant, so it’s time to move on to the more advanced techniques! 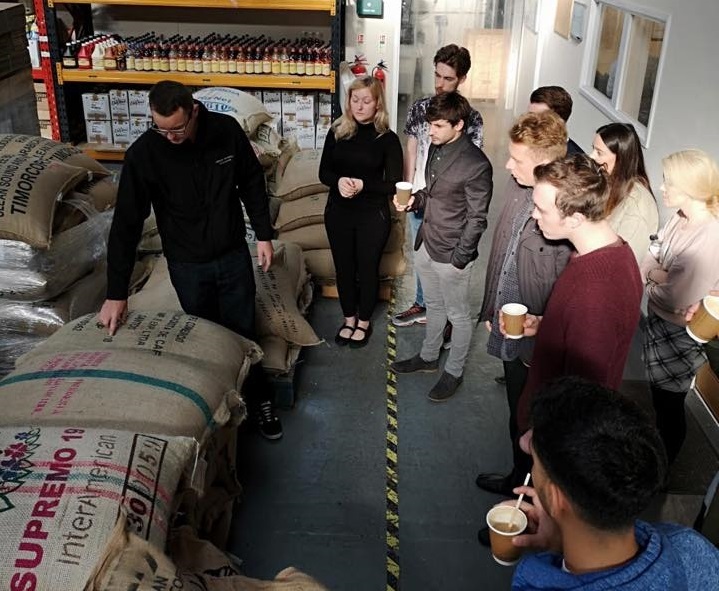 A few weeks ago, a lucky group of staff from our food and beverage team went along to the roasting plant based in Birkenhead to start their advanced Level 2 coffee training and we went along to learn a few things ourselves! Since June, around 65% of our front of house food and beverage staff have now taken part in the Level 1 hot drinks course with Adams and Russell. This means the standard of coffee and Barista service across all of our venues has already hugely improved. However, a few weeks ago a group of around 11 staff returned to the roasting plant to complete their Level 2. This course included a demonstration of how to blend our very own Velvet coffee to perfection, learning advanced coffee machine maintenance and helping our staff to understand the coffee making process. We also enjoyed a coffee tasting session which featured a large selection of coffees from different countries across the world, this really helped our team to understand the difference in blends and widened our knowledge of coffee flavours. This in depth Level 2 course also featured lessons in grinding, dosing and tamping, knowing the function of milk and the effect of different fat content, hygiene health and safety elements and latte art. It’s safe to say the coffee training course has been hugely enjoyed by everyone, and we will soon be taking the next group of staff to complete their Level 2 courses! 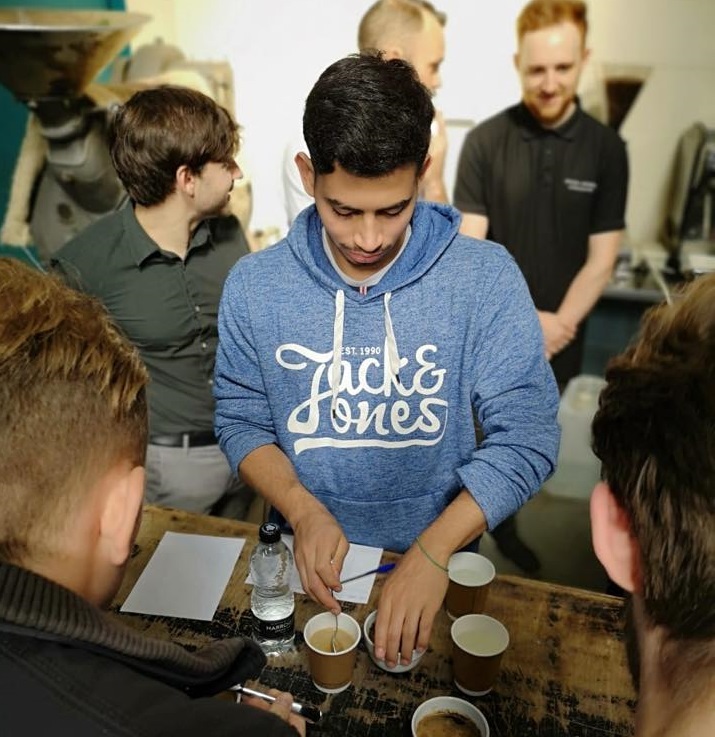 Every coffee school course from Adams and Russell is run in partnership with the ‘Speciality Coffee Association Authorised Trainer’ Andreas Constantinou. He has an in depth of knowledge and experience in coffee, brought up in Greece, he successfully introduced speciality coffee to the public through coffee shops and restaurants throughout the North West. Andreas and Adams and Russell are brilliant at imparting knowledge which really excited and enthused our staff. They provided a detailed understanding of how to entice the very best from every ground coffee bean and continually look to produce the best cup of coffee possible. We pride ourselves on being the best of the best, with some of the highest rated hotels and restaurants in Liverpool, we need the best staff to help ensure our guests get the amazing experience they come to expect from Signature Living. It’s a hard task finding the Signature stars that make our working family so special. Each and every member of staff has a certain je ne sais quoi that makes them the perfect fit for our hotels, restaurants, spas, bars and other adventures. At Signature Living, we’re always on the look out for talented front of house staff that can bring the Signature personality to our venues. Our guests continually come back and recommend us, and a big part of that is the incredible people who help keep the wheels turning. Sound like something you can get on board with? Take a look at our vacancies page and begin your journey to joining the Signature family today! Follow our careers Facebook page for regular updates on vacancies.